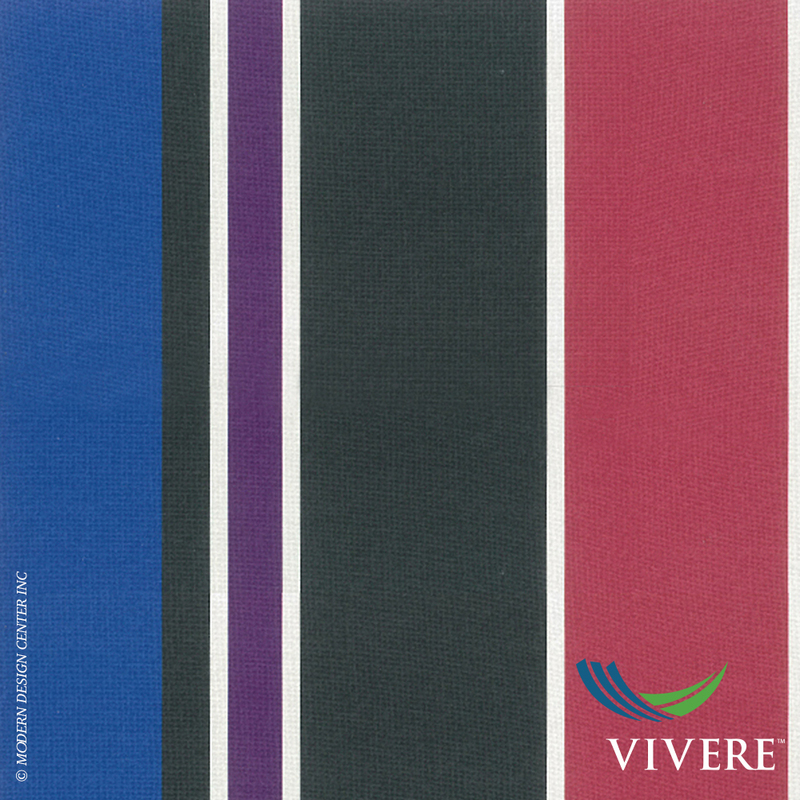 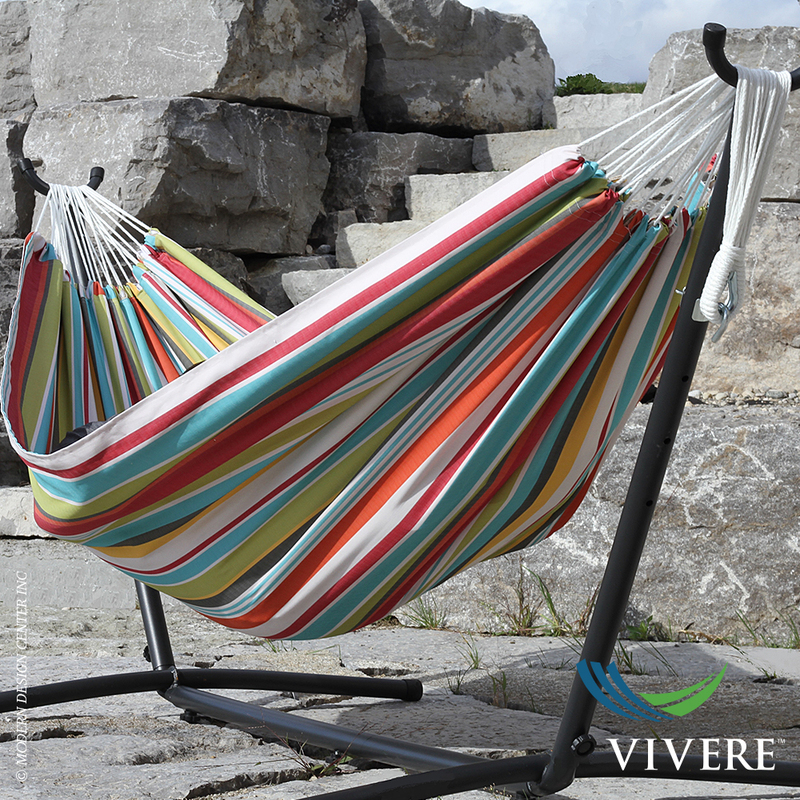 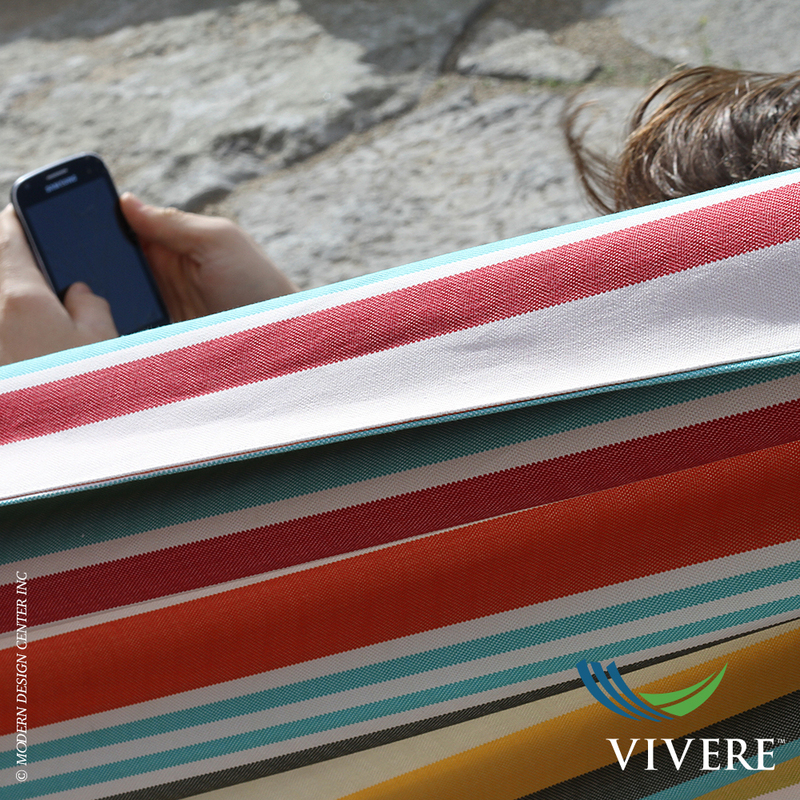 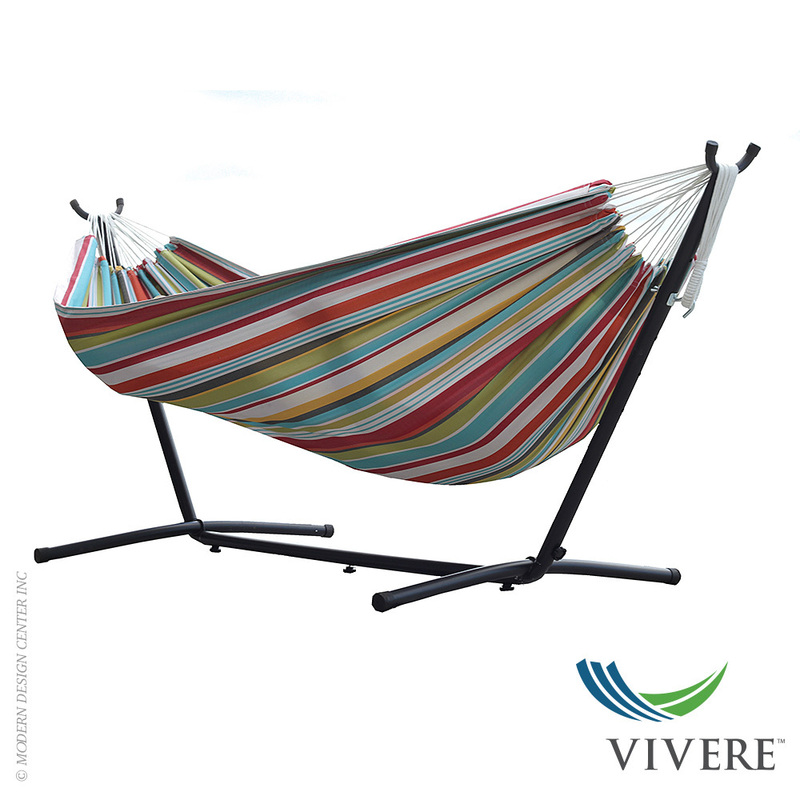 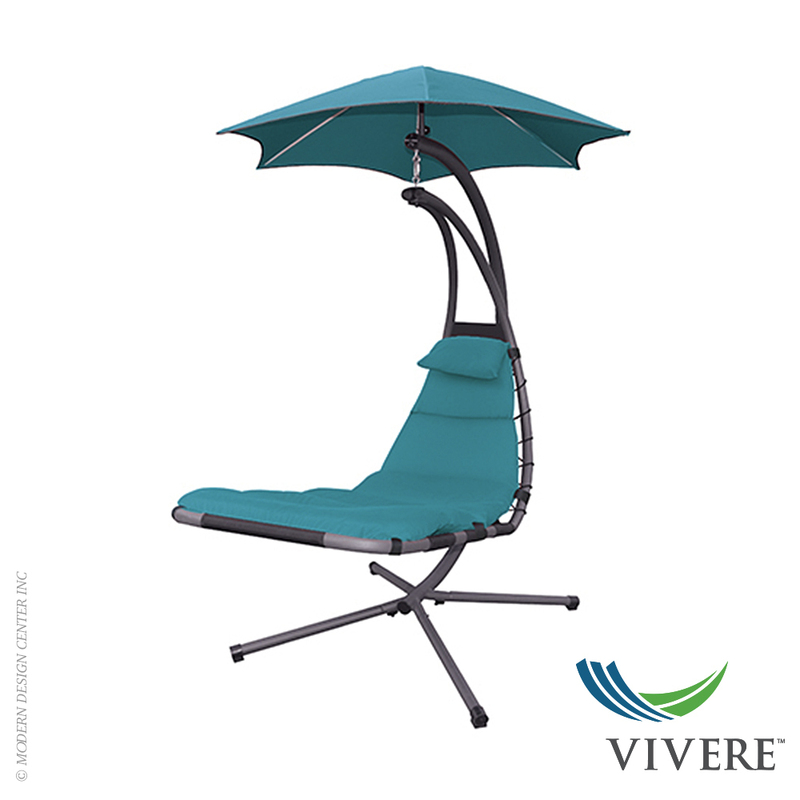 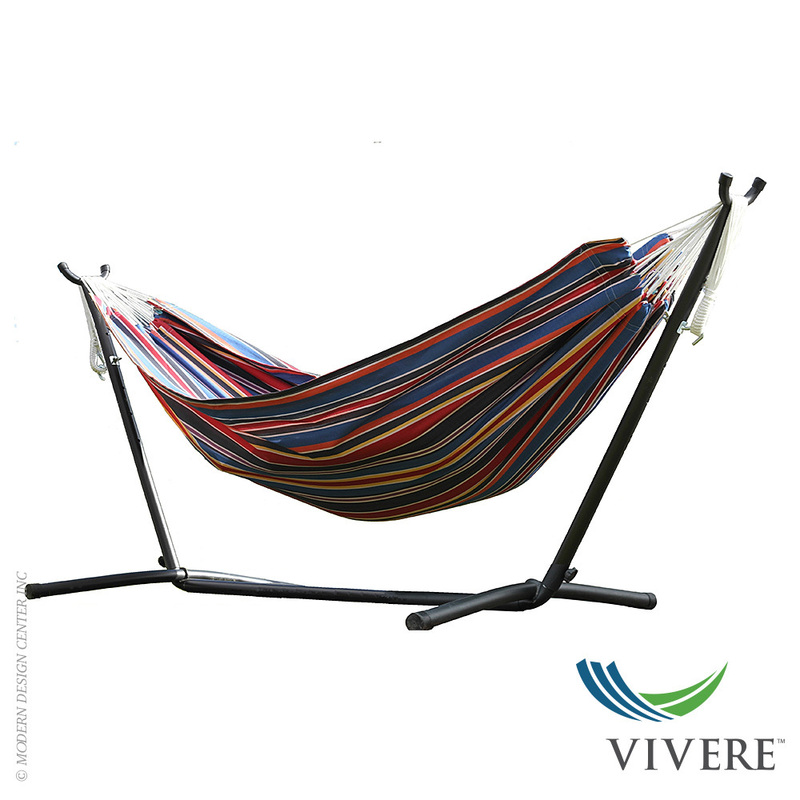 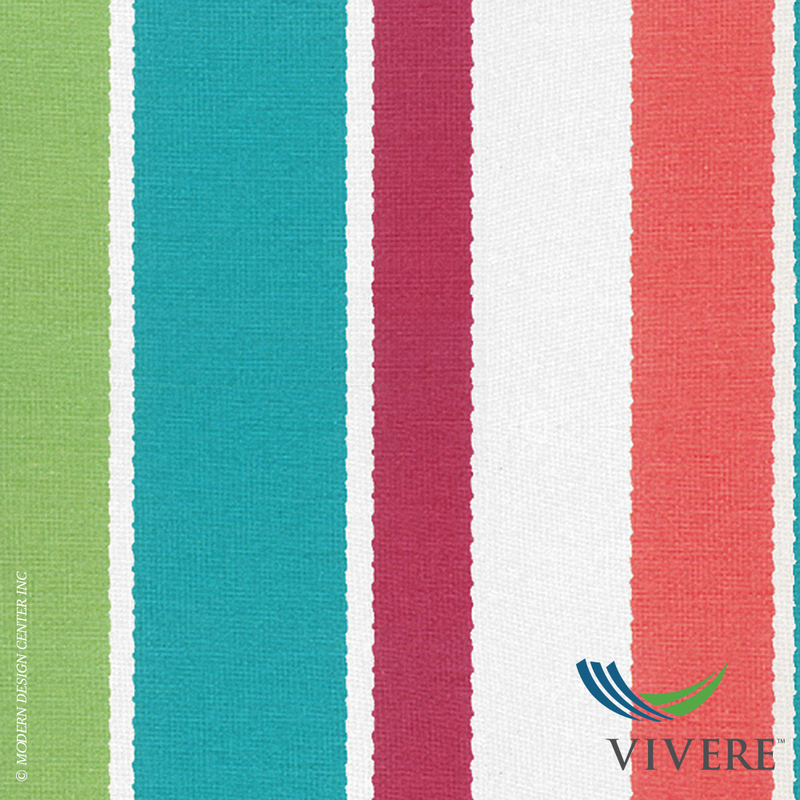 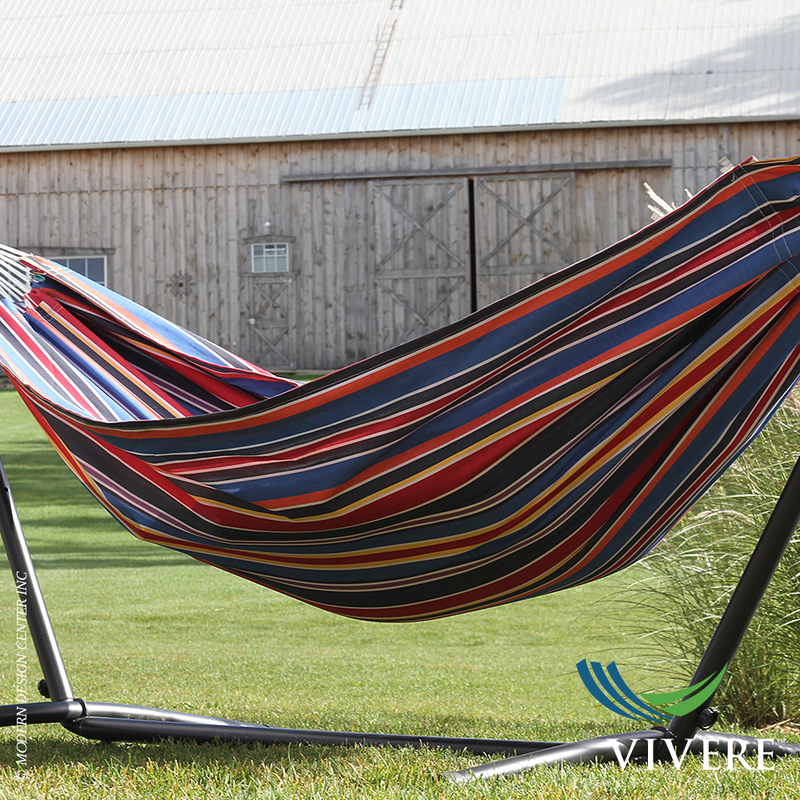 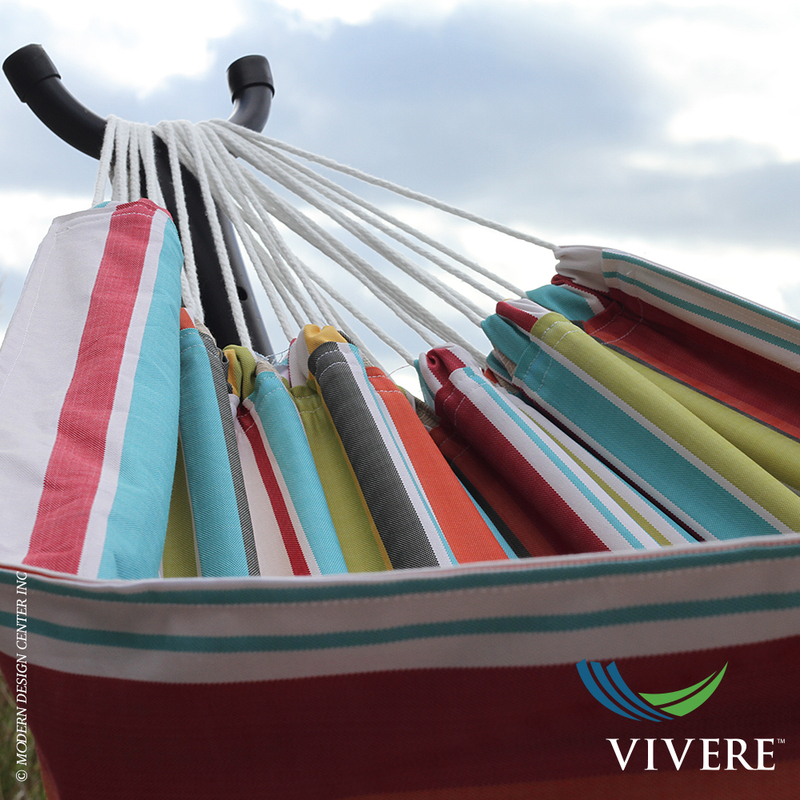 Introducing the best of both worlds, Vivere's Double Polyester Hammock with Stand, brings you the durability and saturated color of woven polyester. 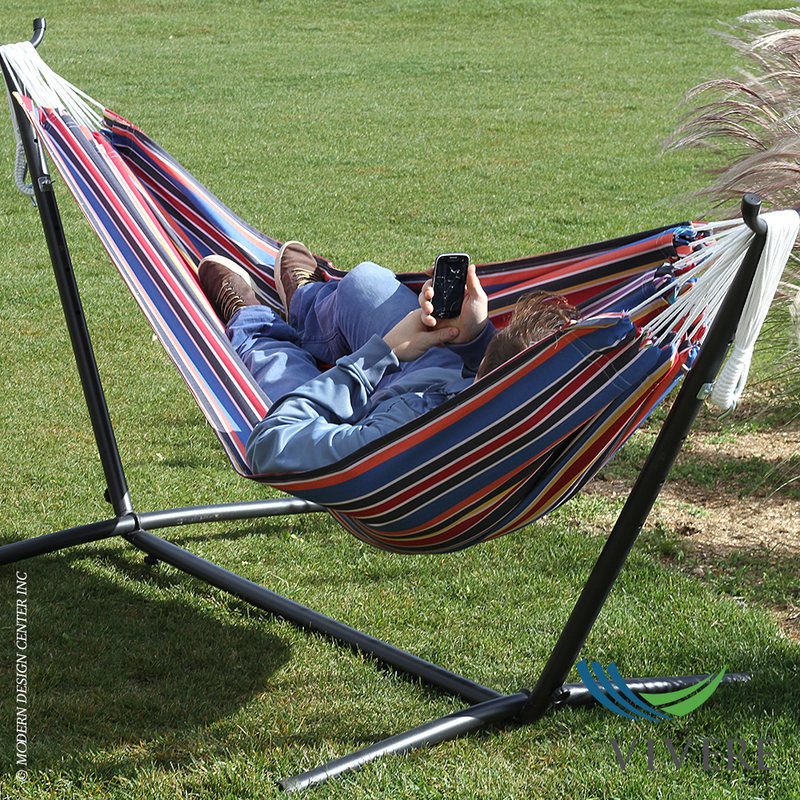 This single ply hammock fits on the easily assembled stand, no tools required. 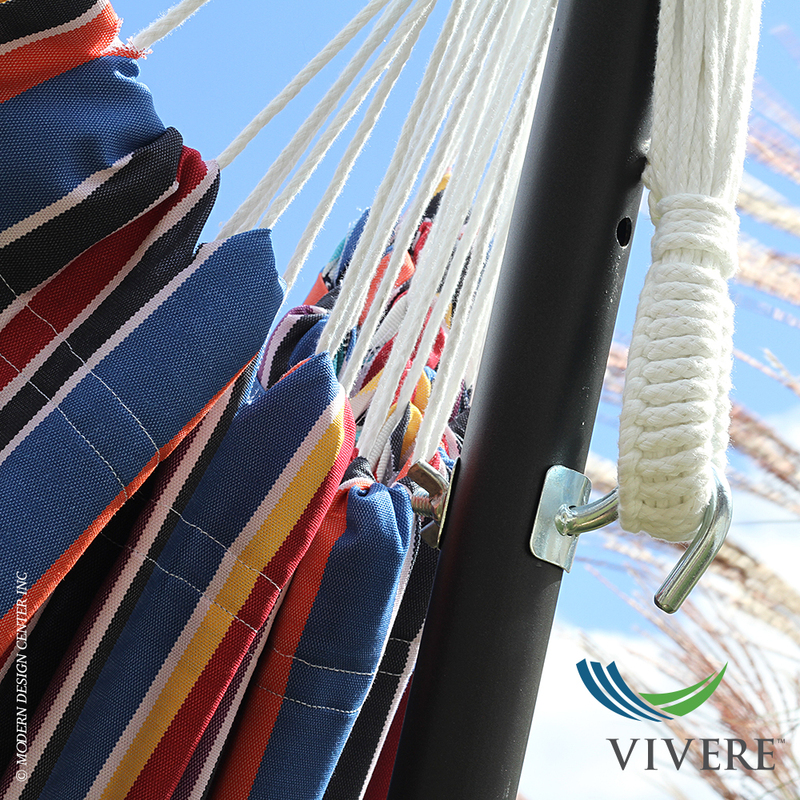 Plastic end caps are fitted on all ends, allowing for a soft finish on whatever surface you choose for setup. 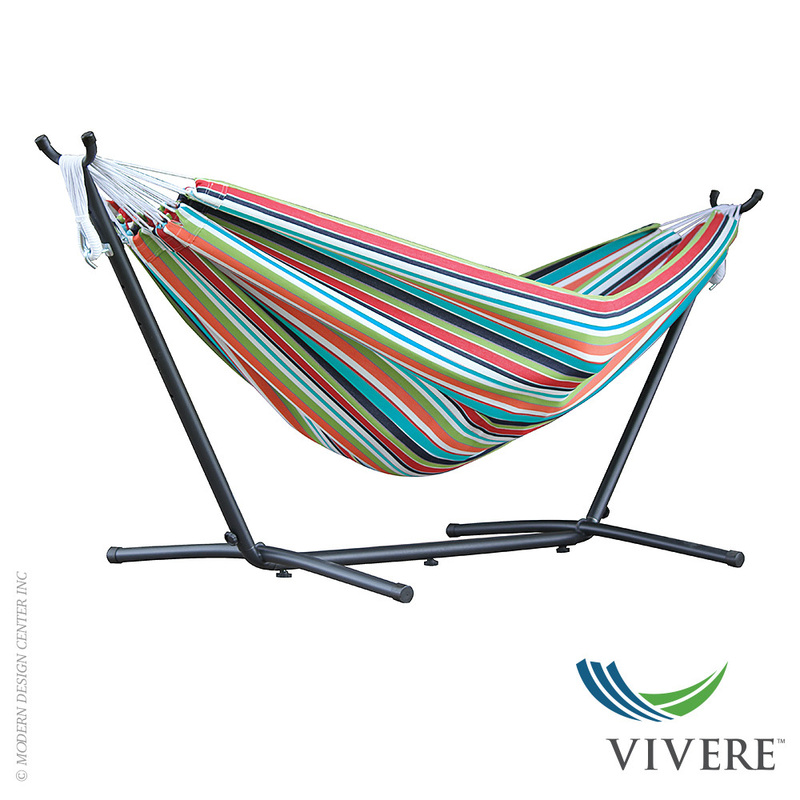 Enjoy the freedom year after year that this product allows by locating it in the most convenient location. 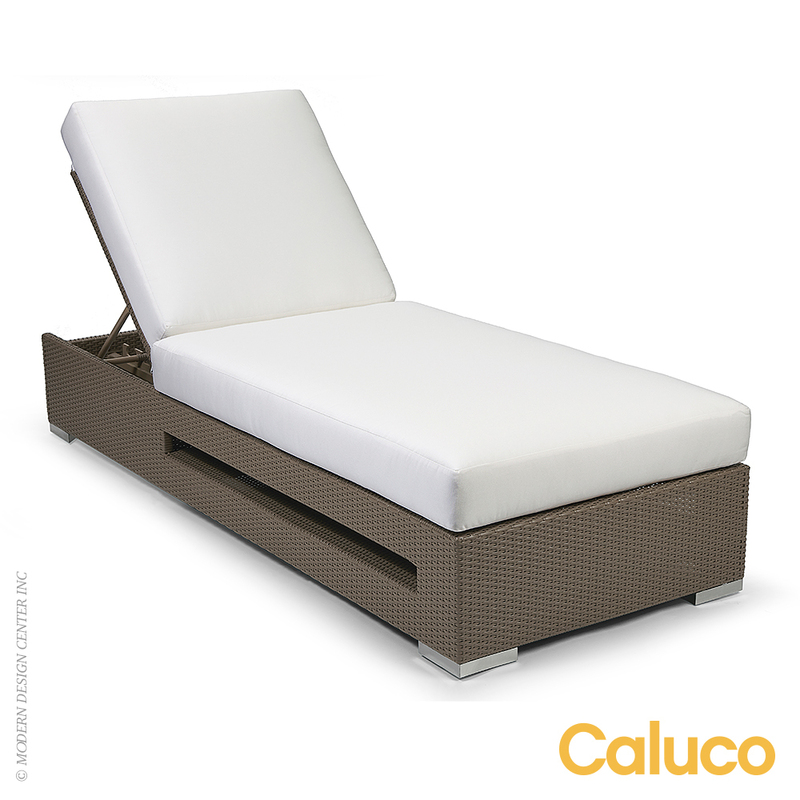 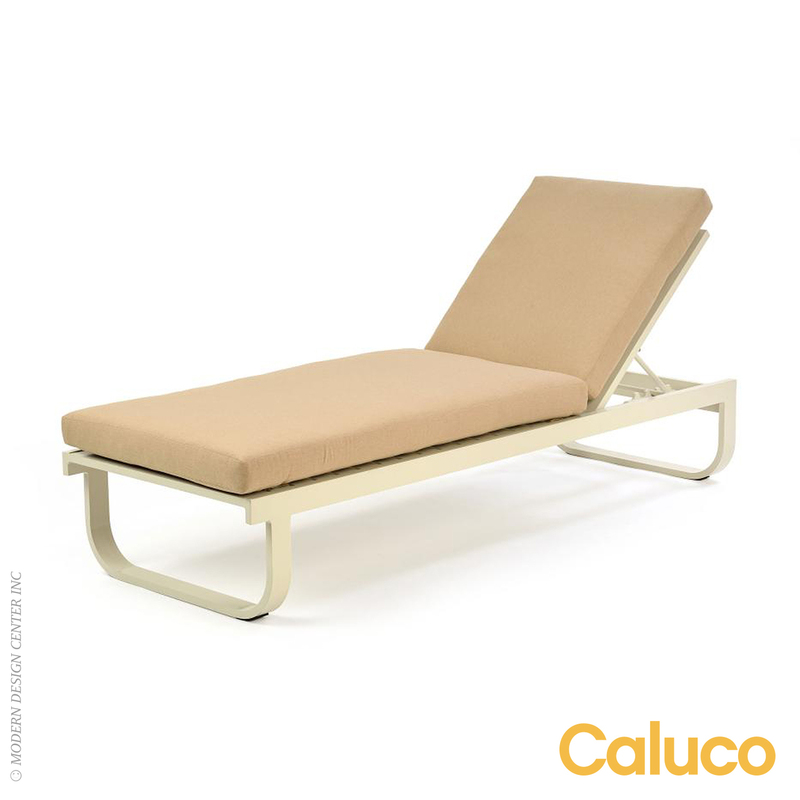 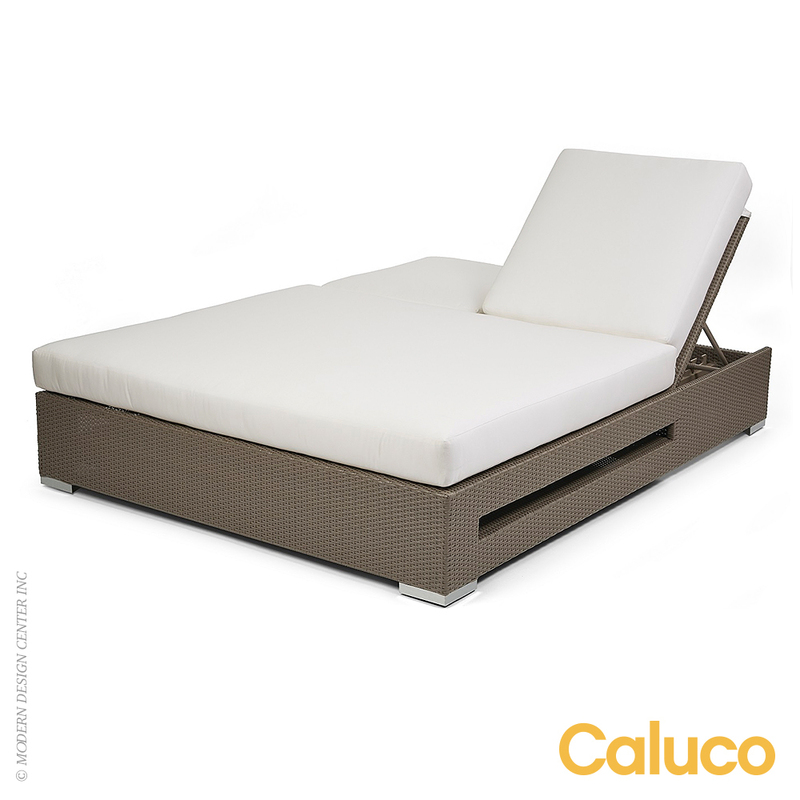 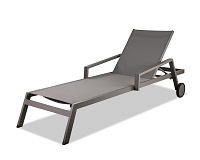 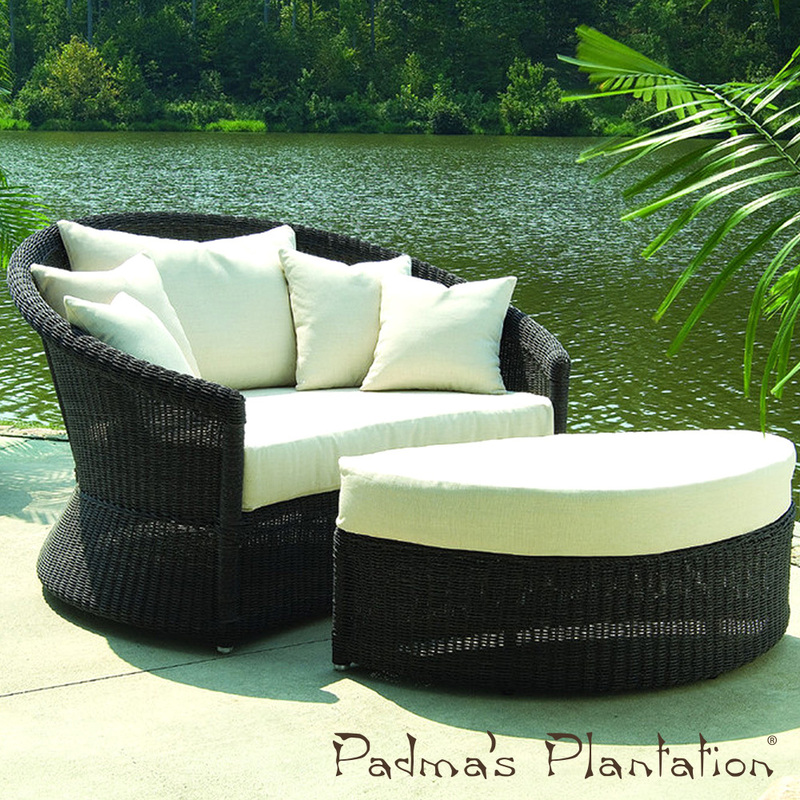 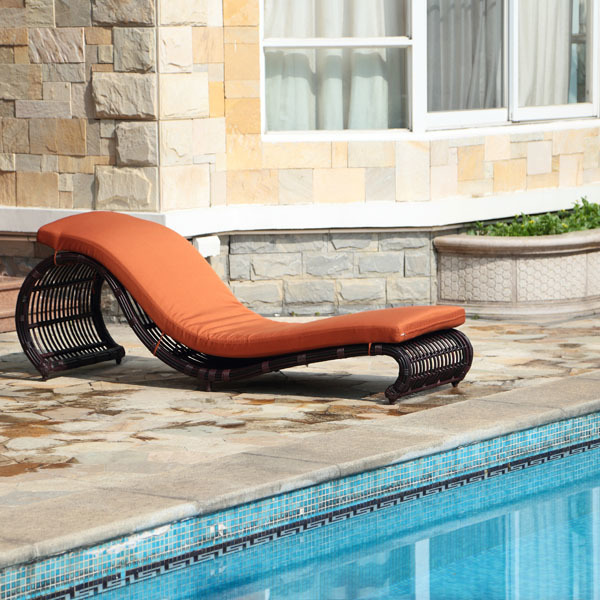 Easily moved to allow for sun or shade outdoor relaxation. 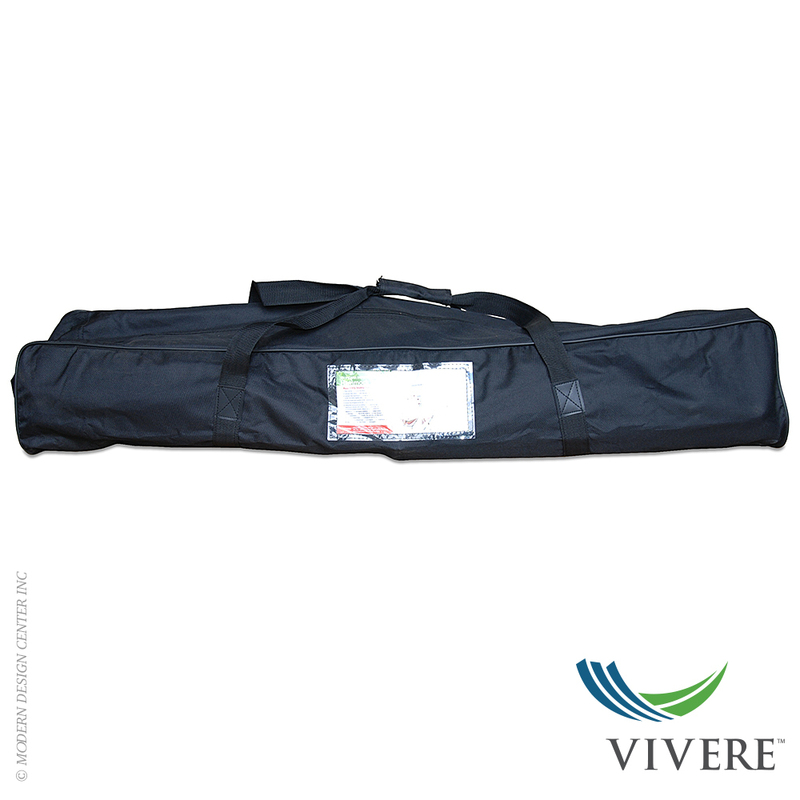 Includes carry bag.